When I started traveling, I couldn’t imagine I would end up taking so many nocturnal photos. I always thought a photo can’t be interesting if there’s no people in it, but then I found out that whatever you think about photography before you start taking photos could change completely. You don’t choose the subject, the subject chooses you! For me this is the truth. I just said I like portraits, but then I take photos of landscapes. Nowadays, a few years after I started taking photography seriously, I think nature, in the form of landscapes, is the most moving thing on Earth, and I hope I can express what I feel about it through my photos. Looking back at the photos I took in these years, I found some subjects that I tend to portray more: nocturnal skies. I think it all started on 2010, when I first moved to Egypt and started venturing myself into the desert more often. This inevitably lead me to try and take photos at night, because the sky was just too beautiful. I’ve always been an astronomy buff but seeing it with my eyes changed my perception of space again. I remember on day one of my first camp, in November 2010, I entered my tent and unpacked. By the time I finished, it was dark outside. When I came out of the tent and I raised my eyes to the sky, I saw the Milky Way cutting the sky in two just in front of me, and I felt like crying. I never saw anything like that before… and now I can’t stay without for too long! So here’s a collection of some of my favorite shots that I collected in the last few years. They are all from the Middle East, but from different countries and locations. I am posting them chronologically, so they should look better and better as you keep reading… I hope you like them! 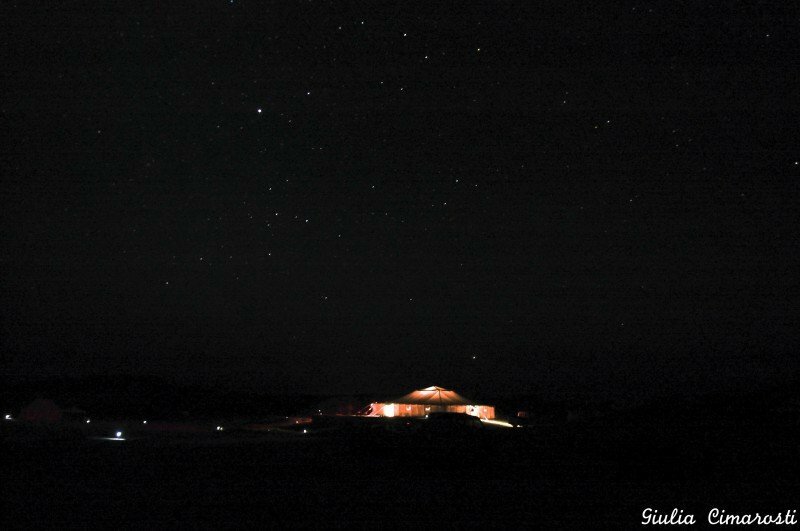 This was my first attempt to night photography, back in 2010. It is not a great photo, but it brings so many memories. This was my first experience camping in the desert, and during that camp I met people who are still some of my best friends in Egypt. 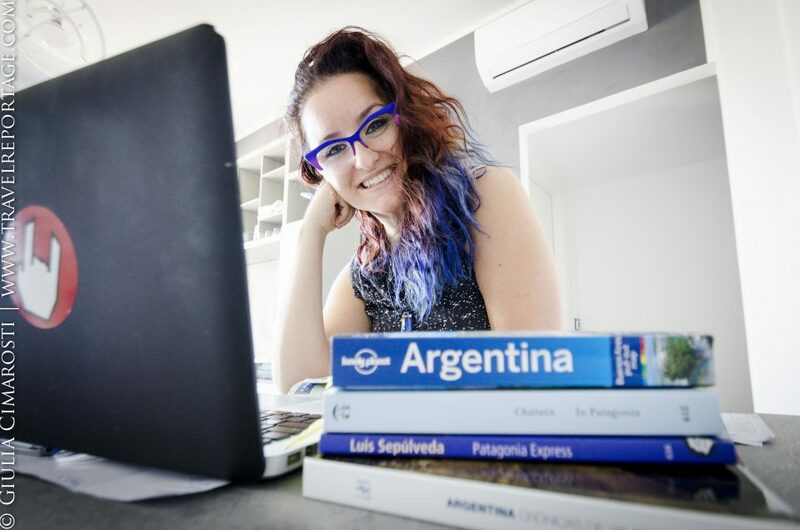 I think this is the photo that started everything: so many people asked me for a copy, and I was glad to see their enthusiasm about it. I decided I was going to take better nocturnal photos the next time. Wadi Gamal is a rocky, golden desert in the south of Egypt, in the Marsa Alam area. I had the chance of camping with the tribes and witnessing their culture and habits. The big tent in the photo is the so called “main tent”, the only one with lights, where we used to eat and spend the evenings together with music and storytelling. I will never forget those moments! 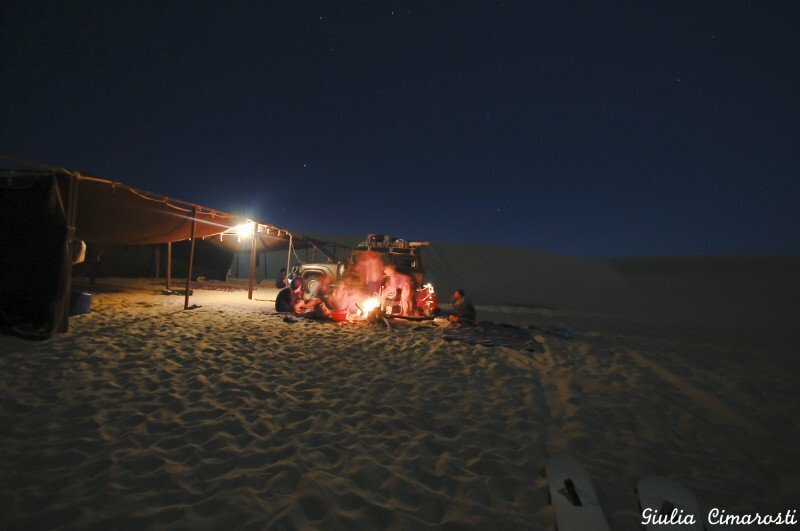 I love this photo, because of so many elements in it: the clear sky with glowing stars, the basic camp we set up in the desert, the dunes on the background, the fire with all of us around, and the sand-boarding boards in the foreground. This photo has so many stories in it. Wadi Rayan is a beautiful, sandy desert about 2 hours south of Cairo, with beautiful lakes and dunes, just outside of the Fayoum Oasis. 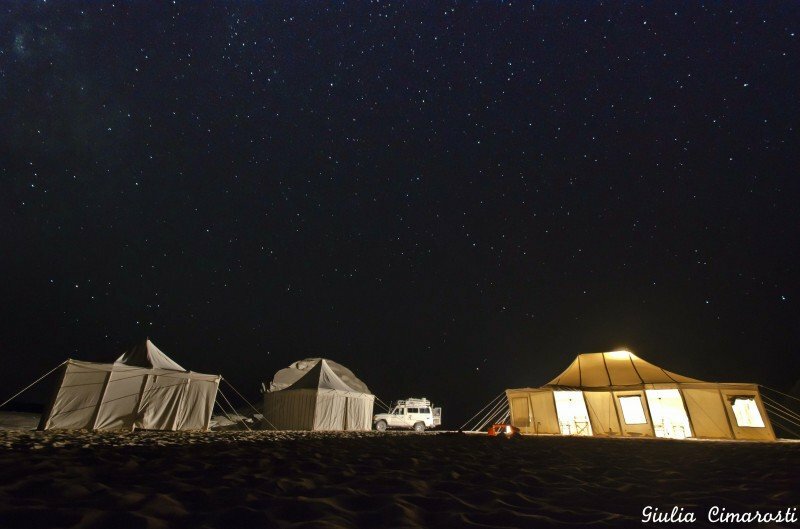 I took this photo before sleeping in my small tent while camping on the Basata beach, Egypt. This is what I saw when I unzipped the tent’s window. Can you spot the Milky Way? Basata is not far from Taba, Egypt, on the Red Sea. During the day, just looking at the sea, you can see the shores of Saudi Arabia, Jordan and Israel. But during the night this is another kind of beauty! This was in April 2011, just after the Egyptian Revolution. On summer 2012, I had one of my most memorable travel moments when I finally visited Petra, Jordan. 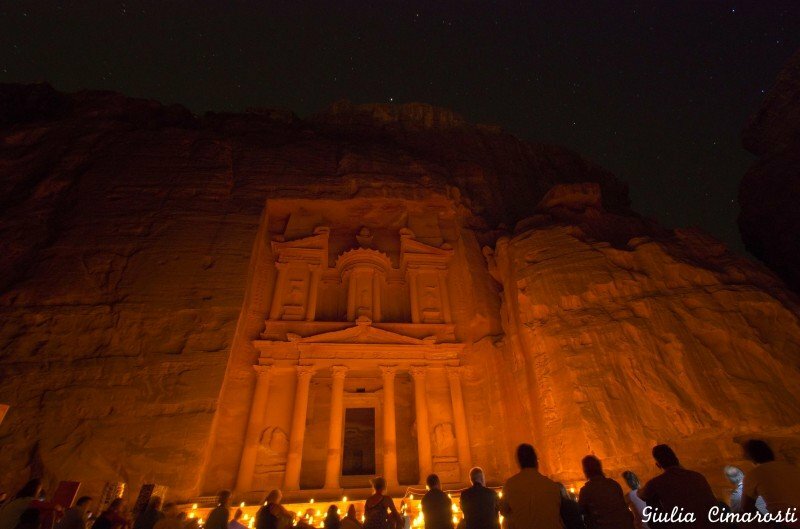 The first time I walked down the Sik to see the Treasury, it was night and I joined the “Petra by night” tour. Hundreds of candles are lit in front of the Treasury and people sit in silence, while listening to Beduin music. It was such an emotional moment, and if it wasn’t beautiful enough, the stars above made it even more magical. You have to see Petra! One of the reasons I love the desert is that the stars are so much brighter there. It feels like you can touch them. I particularly enjoy taking photos of the Milky Way when possible – it makes me feel so little, but it also fascinates me so much. Looking at the night sky really puts everything into perspective and makes you think… this is why everyone should do it! 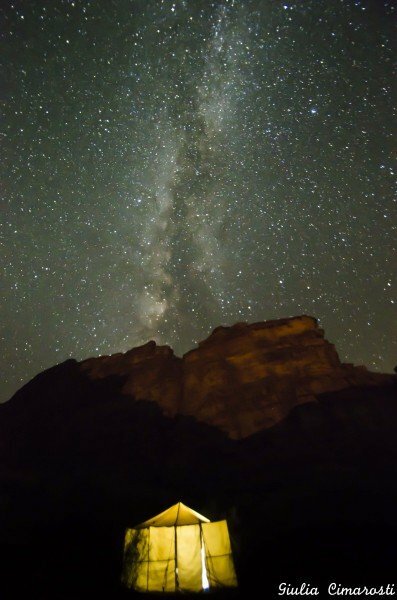 The photo above is the Milky Way as seen from the Wadi Rum desert, Jordan. My camp was in the middle of the rocks you can see, and I climbed a little dune to take some photos from outside. The lights come from the camp. Are you speechless? Me too. On the same night, when I was told this was going to be my tent, the only thing I could see was the majestic Milky Way just above it. When everybody left I took this photo, that will always be one of my best travel memories. On my last desert trip, I camped in the White Desert, in Western Egypt. This is so called because of its white rock formations – you can see one behind the central tent. 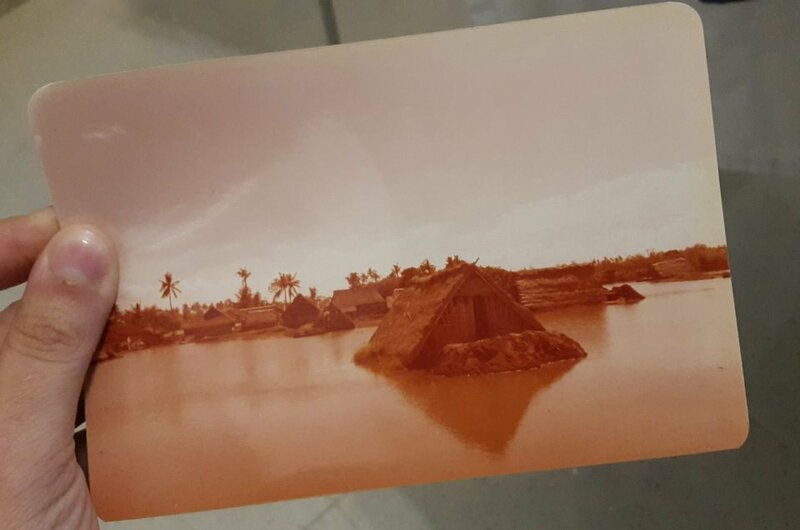 This photo is the camp where me and my mother stayed for 2 nights. There were a few tents, and we were the only guests. Silence all around, and an infinite sky above. It’s beautiful to be surrounded by so much beauty. It just feels right. I hope you enjoyed the collection. 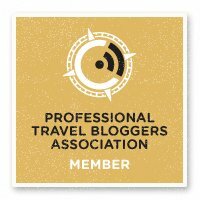 You see, whether you go for expensive, luxury trips or marked down holidays, this will always be included in the trip… for free! Which photo do you like more and why? Please feel free to leave your comments below. This makes me so excited for the day that I can see the stars like this. I almost went to school for astronomy. This is gorgeous! Totally beautiful. I really like the Wadi Rum pair. I have been camping a couple of times and seen similar, but it is very rare for me. Do you take them with a tripod? It is really rare to see this unfortunately… that’s why I love camping in the desert! Yes I did use a tripod or Gorillapod and these photos are all in the 15 to 30 seconds exposure range. The Middle East sky amazes me too. 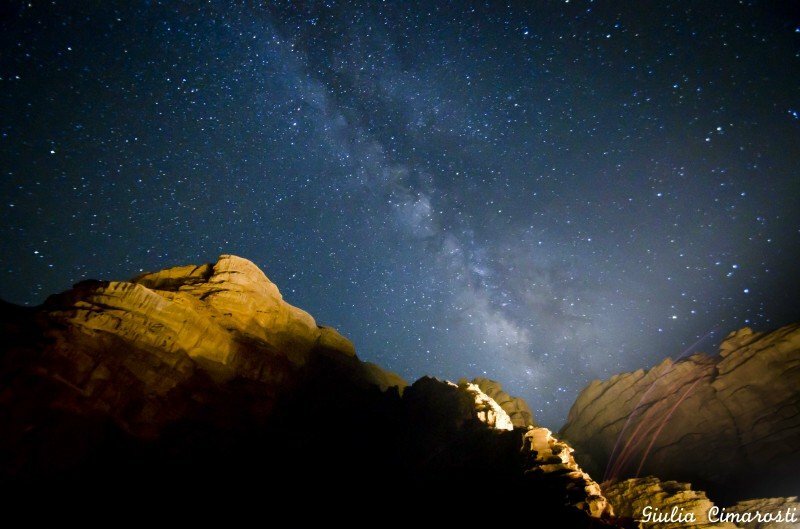 I think the best stargazing I remember from there was Wadi Rum (AMAZING) and on top of Mount Sinai in Egypt (MAJESTIC). beautiful!! 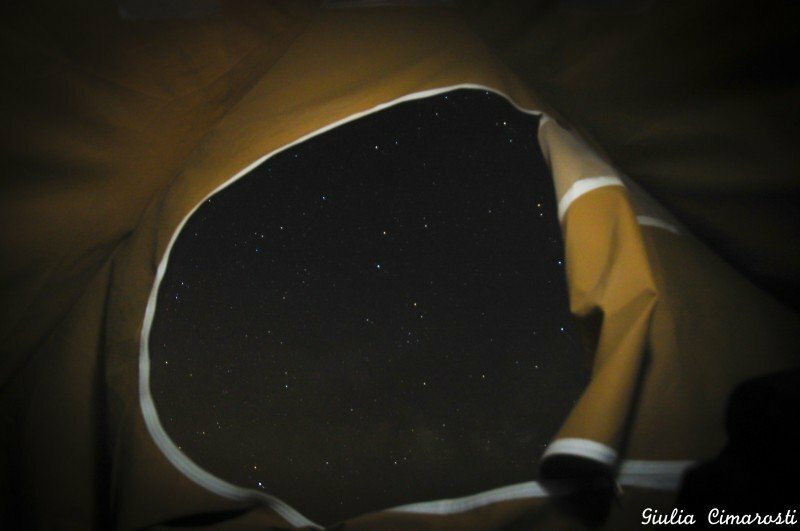 the one taken from inside the tent is amazing!! This is nice.. See you in february. Agggh, I love the first shot of Wadi Rum with the Milky Way. Absolutely gorgeous! I’m more of a city boy, but the one thing I love about getting away from urban areas is what you’ve highlighted here – stars! I grew up on a farm and could always see a lot of stars twinkling up in the sky, but here in a large Korean city, they’re not so bright. wow! i actually never considered too much nocturnal sky photography before! but looking at these pictures i have to re-think about it! 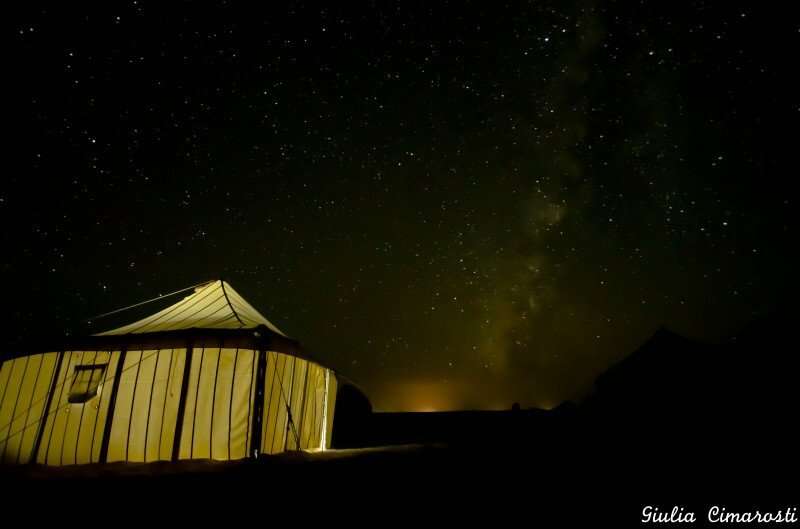 i really like ” Wadi Rum: my tent and the Milky Way above”, it’s so clear, simple and intense! Thank you very much, I’m happy you liked the photos :) And yes I decided to post the first attempt because that shot means a lot to me. Now I know that nocturnal photography is my thing and I want to keep improving! wow those photos of the milky way are amazing! was recently in israel, and had a similar opportunity to you- stargazing in the middle of the Negev desert. It was absolutely breathtaking. Never realized I could see that many stars. Living in NYC we hardly get to see any stars at all. 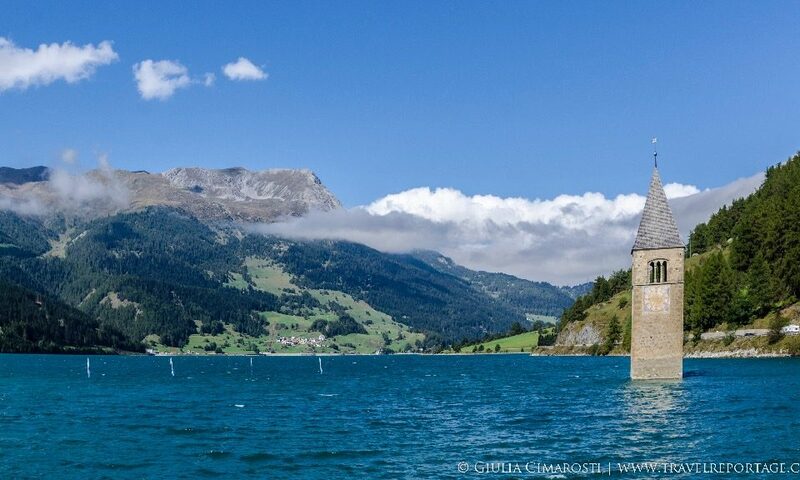 wooowwwww its Amazing….. such a beautiful photographs!!! I am very happy to see amazing pictures. I would love to sleep under a star filled sky like that. 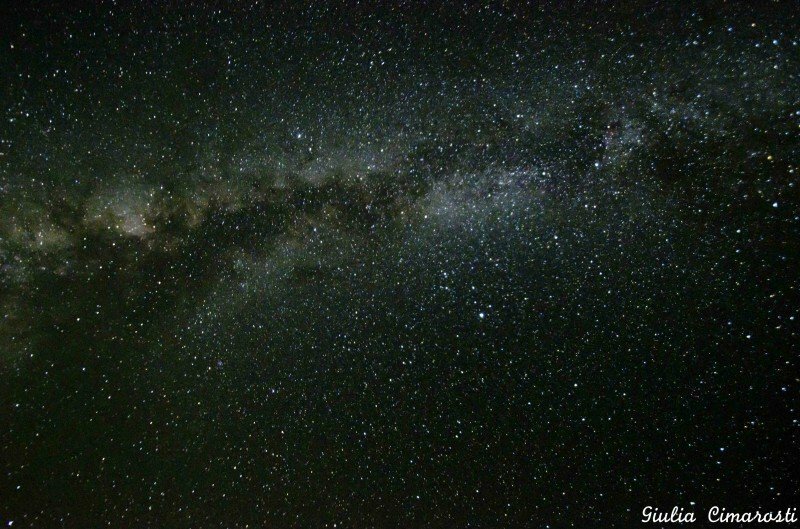 When we were in South Africa, the night sky was incredible. Would love to witness this sky too! Great pictures Girl! Love the one with the 3 tents on the desert! Amazing!